Although your modest family cabin and the idea of estate planning might feel pretentious, planning ahead to ensure that the retreat stays in the family is a smart move long-term. The idea of “estate planning” can seem overwhelming. And when you’re looking at a modest, quaint little family cottage or cabin that doesn’t seem to qualify as a regal “estate,” the idea of estate planning can seem a little pretentious. But what we’re talking about here is simply planning ahead to ensure that the beloved family retreat stays in the family. What is a Cabin Plan vs. an Estate Plan? A cabin plan is an extension of an estate plan. Most estate plans will address planning for incapacity, estate administration, asset distribution, taxation, and other planning considerations. But rarely will an estate plan cover the issues related to passing down the ownership and management of the family cabin property. Just as the estate plan attempts to eliminate the administrative uncertainties related to the property owner’s incapacity and death, a cabin plan attempts to eliminate the complexities related to shared ownership and it works to keep the property in the family for generations. For those of you who have not yet planned your estate, I encourage you to do so. Otherwise, the uncertainties of life and death can create problems, stress and even conflicts within your family and adversely impact the passing down of your cabin. Developing a cabin plan requires forethought and a long-range view. In doing so, cabin owners should involve the entire family in the planning process. In addition, cabin owners should confirm that each prospective new owner actually has an interest in becoming a cabin owner! Too many times, it’s assumed every child wants ownership. However, factors such as financial considerations, geographic distance, and time can impact the desire to become an owner. After it’s determined which family members are interested in eventually sharing ownership of the cabin property, a detailed plan should be established to ensure an efficient transfer of ownership, either during lifetime or upon death of the owner. Finally, the plan should address important shared ownership considerations, such as maintenance, cost sharing and budgeting, use, dispute resolution, creditor protection and other considerations relative to the specific family’s situation and long-term plan. Because the prospective new cabin owners often have differing financial resources, family size, marital status, and opinions, these differences must be considered while forming the cabin plan. If the plan fails to take these differences into account, chances are that conflict will arise, jeopardizing your best laid plans for your heirs to peacefully share the family cabin. As expected, there is no one-size-fits-all planning option or form of ownership for the transfer and management of cabin property. The following are common forms of ownership used for purposes of cabin succession. Due to the scope of this article, tax considerations and the unique circumstances present in every family’s cabin-planning case cannot be addressed. Joint tenancy with rights of survivorship: Two or more people have equal ownership interests in the property, and when one person dies, his/her share goes to the surviving tenant. Tenants in common: Two or more people have ownership interests in the property, but the interests don’t have to be equal. Unlike joint tenancy, there are no rights of survivorship, so a person is free to dispose of his/her interest to a new owner (unless prohibited by the legal agreement). Retained life estate: The owner of a life estate retains ownership of the cabin during his/her lifetime, or the life of another, with the property going to the remainder interest holder after the death of the life estate owner. The primary benefit of a direct transfer of ownership is the ease of the transaction. A direct transfer occurs by drafting and recording a deed transferring a cabin interest (typically to just one new owner), and there is little cost involved. Under certain circumstances, direct transfers can also have negative consequences. For instance, direct transfers offer little or no protection from creditor claims and divorce of a new interest holder. The direct transfer method also lacks methods for resolving disputes or transferring interests (for example, when a new owner wants out). Another vehicle for passing along cabin property is a trust agreement. A trust is an agreement where a grantor transfers property to a trustee so he/she can hold, manage and distribute the trust to the benefit of all the trust beneficiaries. There are several forms of trusts that can be utilized for a cabin plan. Trusts can be either revocable or irrevocable, and there are several important considerations that may dictate which form of trust is right for your family. It is important to consult your attorney and review the different forms of trusts and their application to your circumstances and objectives. The trust agreement is the governing document for a trust. It is an excellent tool for laying out the terms of the agreement between the new cabin-interest holders (the trust beneficiaries). Trusts are also popular because estate planners are familiar with trust agreements, and trusts have fewer legal formalities than business entities (below) do. Finally, trusts are commonly utilized because they are less expensive to draft and implement than more detailed ownership options, such as family business entities. The negative consequences of trusts generally deal with the lack of flexibility when administering a trust. Certain forms of trusts cannot be amended to address changes in circumstance among the beneficiaries or with the cabin property (for instance, who is allowed to vote on changes to the trust agreement). Trusts also can be cumbersome for dispute resolution and property management. When compared to other forms of ownership, trusts can have inferior liability protection for family members. The Olsons, like many Midwesterners, have had a family cabin for many years. It has been frequented by Ed and Edna Olson, their three adult children and several grandchildren. Upon Ed and Edna’s deaths, the property was conveyed from the estate to their three children, in equal shares, as tenants in common. Mr. and Mrs. Olson did not foresee any difficulties with the succession of ownership and management of the cabin. But, over time, one child began paying most of the taxes and maintenance costs and spent a lot of time and effort on maintenance. Few improvements were needed, but a new roof may be necessary in the future. The other two children justified to themselves that their brother, a physician, had the best ability to pay the costs due to his financial resources. Further, they claim that he used the property the most, given his proximity and that of his children. The second adult child lives on the East Coast and rarely uses the property with the exception of the week of the Fourth of July. In addition, she doesn’t have children and her husband doesn’t enjoy making the trip to the Midwest every July. The third adult child is an avid fisherman and boater, uses the property a couple of times a month and doesn’t chip in much on maintenance or other needs. Finally, the cabin can’t accommodate all three families at one time. Given the differing perspectives, economic considerations, lack of space and use conflicts, trouble is brewing for the Olson family cabin. If Ed and Edna put more thought into the succession of the cabin and discussed these issues with their children, much of the conflict and uncertainty could have been avoided. Simply leaving your legacy property to your heirs “in equal shares” means that everybody must agree on every aspect of owning, maintaining and enjoying the property. A cabin plan could have settled these issues in advance and set forth a path for future use and enjoyment by those who desired the opportunity. Asset Distribution: The transfer of an asset from the estate to the beneficiary. Deed: An instrument of conveyance used to transfer an interest of real property. Estate: The property and rights of a decedent which exist prior to the distribution of that property in accordance with a will, trust or pursuant to applicable intestacy provisions under state law. Estate Administration: The process of settling an estate. It involves the inventory and valuations of assets, the payment of expenses and taxes, and the distribution of the remaining assets to the beneficiaries. Estate Plan: The plan to execute an individual’s wishes as to the administration and disposition of property before and after death. Grantor: An individual who establishes a trust and transfers property to the trust.Interest: A share of the ownership of a property. Irrevocable Trust: A form of trust which cannot be revoked, amended or cancelled. Joint Tenancy with Rights of Survivorship: A form of property ownership where two or more individuals own an equal and undivided interest in property. When a joint tenant dies, the surviving joint tenant(s) acquires the interest of the deceased joint tenant. Life Estate: A conveyance in property where the life-interest holder retains rights and benefits of ownership during their lifetime, or the life of another, with the property going to the remainder-interest holder after the death of the life tenant(s). Limited Liability Company (LLC): A business structure allowed by state statute where the owners have limited personal liability for the debts and actions of the entity. In essence, the liability is limited to the property contributed to the entity. An LLC is treated as a partnership for tax purposes and receives the benefit of pass-through taxation. Operating Agreement: An agreement between members of an LLC governing the LLC’s business and the member’s financial and managerial rights and duties. Revocable Trust: A form of trust which may be revoked, amended or cancelled by the grantor(s). A revocable trust is commonly referred to as a “living trust” because it is created during the lifetime of the grantor(s). Tenants in Common: A form of property ownership where two or more individuals own an interest in property. One tenant may have a larger share of the property than the other tenant(s). Unlike joint tenancy, there are no rights of survivorship and the tenant is free to dispose of his/her share of the property to a new owner (absent an agreement that would prohibit this). Tenants in Common Agreement: An agreement between tenants in common used to establish the rights of each tenant in the property they share in common. Trust: A relationship where a grantor transfers property to a trustee to be held, administered and distributed for the benefit of the trust beneficiaries. Trustee: A person who assumes the responsibility to administer a trust for the benefit of the beneficiaries of the trust. A trustee is a fiduciary who generally owes the highest duties to the beneficiaries of the trust. Pros: An easy transaction; low cost to establish. Pros: Excellent tool for laying out a road map of agreement between the new cabin-interest holders; estate planners are familiar with them; simpler (fewer legal formalities) than LLCs; low cost to establish. Cons: Inflexible; cumbersome for dispute resolution and property management. Pros: Perpetual existence; flexible for amending; limited personal liability; creditor protection. YOUR FAMILY’S CABIN PLAN: Be sure to address important sharedownership considerations, such as maintenance, cost sharing and budgeting, use,dispute resolution, creditor protection and other considerations relative toyour family’s situation and long-term goals. TAXATION: With all forms of ownership transfer,there may be income-, gift- and estate-tax implications. Prior to executing thetransfer, there must be a complete analysis of the estate, gift, income andproperty taxes to prevent unintended tax consequences. 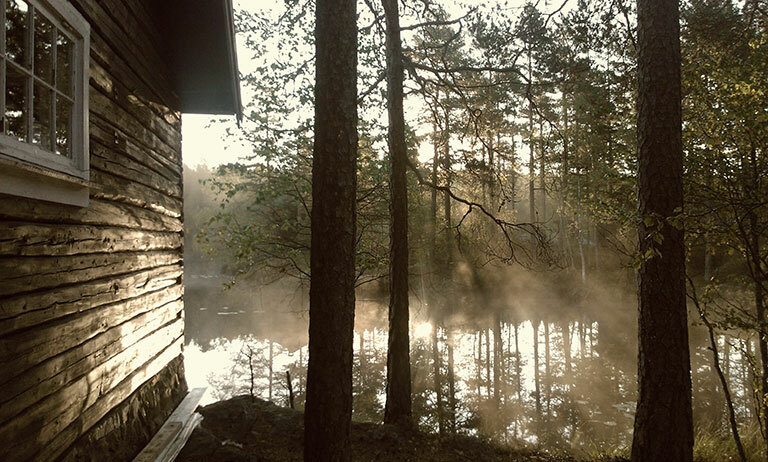 The ownership of a family cabin can also be transferred in a business entity, such as a partnership, limited liability company (“LLC”) or family limited liability company (“FLLC”). First, it is important to remember that this option involves the formation of a business entity which is organized and registered pursuant to state law. Thus, there are formalities necessary for the formation of the entity as well as routine filings on an annual basis. Next, state statutes require that the entity have a business purpose. While most families use their cabin solely for personal purposes, a common business purpose inherent in most cabin planning scenarios relates to the business interest of holding real property for the future appreciation of said property. Another example of a business-related factor is the rental of the cabin or cabin property. There are several advantages in utilizing an LLC for the cabin plan. First, business entities can be established with a perpetual existence, which can give the family a sense of certainty. Other forms of ownership, such as trusts, must have a defined existence for a number of years based on state statutes. Another benefit of an LLC is that the LLC structure is much more flexible for purposes of amending the structure of the plan and the controlling documents. Often, there is a need to alter the structure of ownership of the entity due to changes in family circumstances over time. The changes may impact the overall management provisions of the entity (governance) or the operational provisions (the day-to-day property maintenance and improvements). Either way, the ability to make these changes is very appealing to some. The ease in ownership transfer is another benefit of an LLC. These entities most often document ownership by membership units or member shares. Upon formation of the entity, the cabin property is retitled in the name of the LLC. Thereafter, the original owners of the cabin property can give or assign interests in the entity in one transfer or in several transfers over time. This allows the original cabin owners the flexibility to retain control during their lifetime if such retention is desired. The governing agreement for an LLC is most typically an operating agreement. The operating agreement sets forth the management provisions and the basic rules for the entity. These provisions often include the responsibility for payment of operating expenses; procedures for transfer of member units or shares; duties and responsibilities of regular maintenance, budgeting, and approving property improvements; developing and enforcing use schedules; and outlining the governance related to decision making and dispute resolution, among other considerations. As noted above, the ability to change these provisions over time due to change in circumstance can be very useful in furthering the succession of the property and the cabin plan. Similar to the operation of a closely held business, a business entity established for a cabin generally will contain transfer restrictions or “buy-sell” provisions. These provisions are intended to accomplish several objectives, such as preventing a sale to an outside party without the agreement of the ownership, and determining the methodology for transfer, valuation and payment provisions in the event of a bona fide sale. Another benefit of the LLC structure is creditor protection. State laws do not allow a creditor to become an owner of an LLC or force any asset within the LLC to be sold simply because they have a judgment against an LLC owner. This is particularly important as it relates to an LLC owner’s exposure to divorce, bankruptcy or lawsuit. Quite possibly, the most enticing LLC benefit is limited personal liability. In general, members or owners of an LLC have significant protection from personal liability as it relates to the entity or property owned by the entity. For instance, if there is an accident at the cabin which causes personal injury to a third party, the owners of the LLC may not be sued personally for that injury. The primary disadvantage of using an LLC in the cabin plan relates to the formalities and costs. The costs of establishing the entity and maintaining it are new expenses to the LLC owners. Typically, these costs relate to legal, accounting and state filing fees. While most people do not find the overall costs to be significant, the expenses need to be addressed. The formalities that exist with LLCs do not exist with other forms of ownership. These formalities – including annual registration with the state, maintenance of corporate records and, in some cases, tax returns – are required to keep the LLC entity in good legal standing. A plan for the cabin is a critical part of an estate plan that ensures the succession of a key asset to family members well after the original owner has passed on. Planning early gives peace of mind that the succession objectives will be met and fosters communication among the family regarding their interest and intent. In addition to planning early, it’s important to revisit the plan over time when a change in circumstance arises. David M. Ness and his wife, Vicki, have three young and very busy children, and they enjoy spending time with their kids at the cabin. EDITOR’S NOTE: The author is an attorney who specializes in estate planning, probate and trust administration, and estate and gift tax controversy.